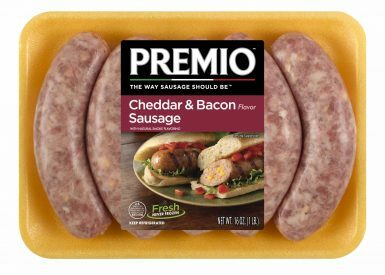 What’s better than Premio Sausage? 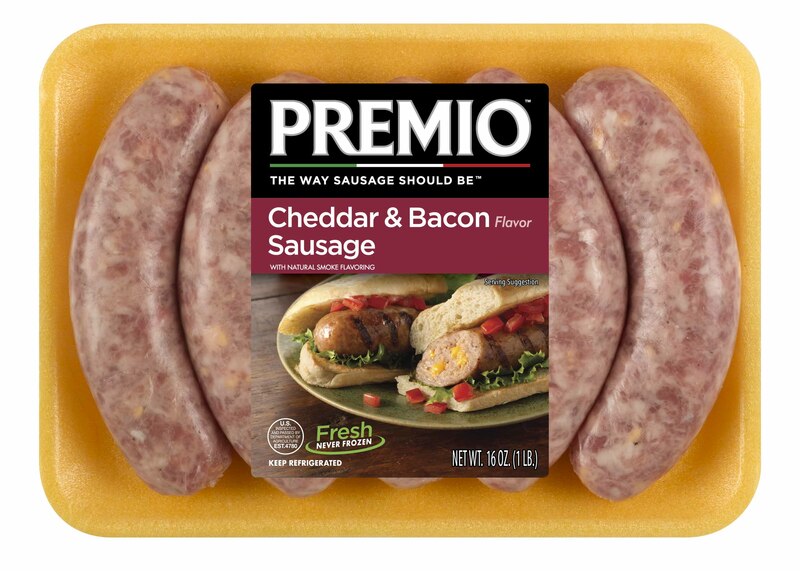 Premio Cheddar & Bacon Sausage, of course! This sausage, made with flavorful cheeses and bacon, packs enough flavor to be put on a roll and savored all by itself. Heat a pan to a medium temperature. Add 3 tablespoons water and place sausage in pan. Cover the pan, continue heating for 10-12 minutes, turning the sausage often. Remove cover and continue cooking for 5-7 minutes or until golden brown. Serve and enjoy! Saw these at the supermarket for the first time and decided to try. Fantastic. I broiled them and the result was crisp, juicy and flavorful. Unbeatable for breakfast with eggs, pancakes, cornbread, you name it. Have not tried them on a roll yet but there is no question this will be the Sergeant Major of chili dogs. Will be ordering direct from Premio as the supermarket does not seem to stock this item regularly and it is now a must-have in my kitchen. That’s great! We’re so happy to hear you enjoy them!